Gasses caused by red tide algae killed fish and marine life, and emptied beaches like Englewood Beach for most of June to October in 2018. 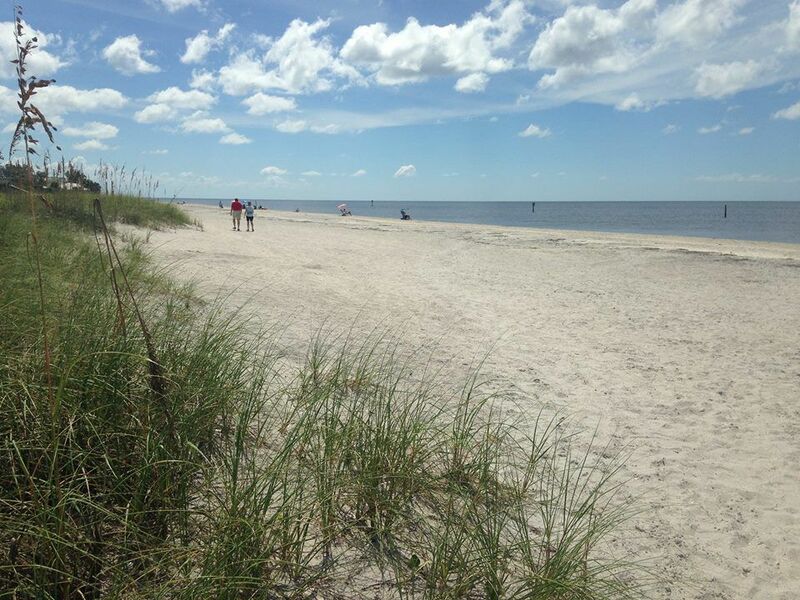 Charlotte County officials want to discuss the problem and what can be done to curb red tide’s severity. Recent clear skies and clean waters may be quelling the groundswell of worries over red tide and other harmful algal blooms. Charlotte County officials hope not. The county is putting together its Water Quality Summit, scheduled from 1 p.m. to 5 p.m., Jan. 29, at the Charlotte Harbor Event and Conference Center, 75 Taylor St., Punta Gorda. The summit will be made up of three panels: one with representatives from the scientific community, one made up of state elected officials and policy makers, and a panel presenting potential action plans. County Commissioner Bill Truex, who asked for the summit, will serve as the moderator. “I’d love to see the place filled up,” Truex said Monday. Part of the reason for the summit and one of its goals for Truex is to help clear up misinformation being transmitted on various social media platforms. “Incorrect facts,” as he called it, are making the rounds and stirring up emotions. Emotions can be good — but only when armed with the facts, and the summit will provide the public with those facts, he suggested. The fact is the toxic red tide algae is natural to the Gulf. The Florida Fish and Wildlife Conservation Commission has records of red tide blooms and fish kills dating back to the late 1800s. Earlier this year, a fossil discovery in Australia included micro-fossils of red tide algae where a prehistoric inland sea existed. Similarly, a National Geographic article in 2014 reported fossilized red tide cells in Chile that may have killed two prehistoric baleen whales. Manasota Key, Gasparilla Sound and Boca Grande and most everywhere else in Florida appear to be red tide free for now, according to state reports posted on myfwc.com. But just last week, intense concentrations of red tide — a million or more cells per liter of water — turned up in water samples taken from Lido Beach near Sarasota, and 2.5 miles off of the beach on Jan. 2. Another water sample with high concentrations from Sarasota’s Siesta Key on Jan. 2. Red tide algae, Karenia brevis, can trigger fish and other marine life kills, respiratory and other ailments in humans when the concentrations reaching 100,000 or more cells per liter of water. The summer saw Southwest Florida from Pinellas south to Collier County scarlet with red tide blooms. Red tide may be natural to the Gulf, but humans shouldn’t feed it. The panels will take up discussions on what actions can be taken by governmental agencies and individuals to stem the spread of red tide, what can be and is being done to curb the amount of nutrients feeding the blooms. Representatives from the FWC Research Institute, the Florida Department of Environmental Protection, Mote Marine Laboratory, engineers and others will participate on the panels. Betty Staugler, Florida Sea Grant agent in Charlotte County, will discuss how re-establishing or creating oyster beds, clam beds or other shellfish colonies can filter nutrients from the water. Restoration of mangrove shoreline also can preserve and improve water quality. Others will address septic tank management, proper pesticide and fertilizer use. The freshwater blue-green algae isn’t being forgotten. The blue-green blooms have gunked up Caloosahatchee River near Fort Myers, and can be tracked to nutrient-rich water discharges from Lake Okeechobee. South Florida Water Management District and others will talk about what projects are underway or planned to improve Lake Okeechobee water quality and the Everglades restoration. For information, contact Brian Gleason at 941-743-1462 or email Brian.Gleason@CharlotteCountyFL.gov. When: 1 to 5 p.m., Jan. 29; open to the public and free. Where: the Charlotte Harbor Event and Conference Center, 75 Taylor Road, Punta Gorda.